In 451, a decisive ecumenical council took place in Chalcedon, a suburb of Constantinople. The resulting statement—which defined Christ as being one “person” with two “natures,” divine and human—caused deep and permanent rifts in the worldwide Christian church. 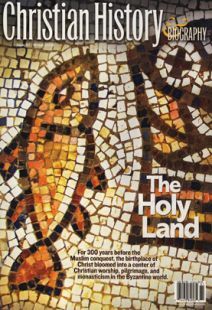 The debates over the word “nature” estranged Western Christians from Monophysite (“one nature”) Christian groups in Egypt, Syria, and Palestine and split Eastern Christians into those who followed Chalcedon and those who did not. Isaiah's ecumenical sensitivity gained the respect of Chalcedonians and Monophysites alike in the centuries that followed. In fact, his Chalcedonian successors, Barsanuphius and John, were never explicit about their personal doctrinal convictions, refusing to take sides in a battle over “idle words” and discouraging their disciples from condemning their opponents.